Ice is melting in an unexpected region of Greenland at a rate that is unprecedented in the past century, according to a study published Monday, which could lead to rising sea levels and increasingly wild weather on the East Coast. 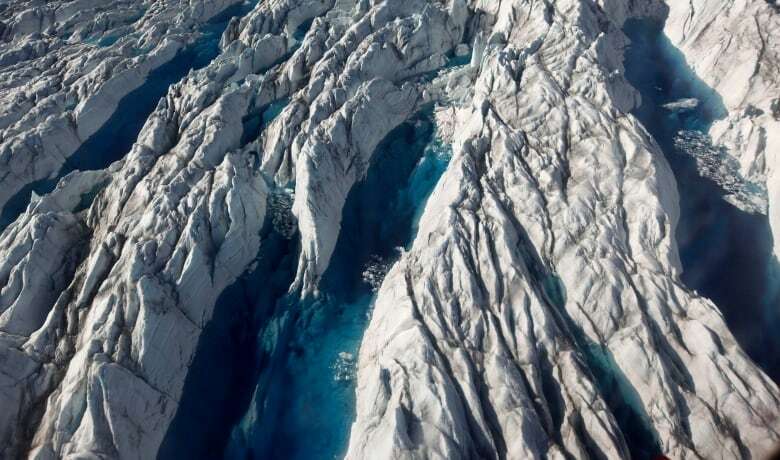 Scientists found that the ice sheet in southwest Greenland was melting nearly four times faster in 2012 than in 2003, said Michael Bevis, a geophysicist with Ohio State University and co-author of the study published in the Proceedings of the National Academy of Sciences. The Greenland ice sheet covers roughly 80 per cent of the island and is the second largest body of ice in the world. Ice loss in Greenland's southeast and northwest regions has been well-documented as glaciers have been dissolving into the ocean, contributing to rising sea levels and threatening communities. The southwest region, on the other hand, doesn't have many glaciers and its ice sheet wasn't typically known to contribute to rising sea levels. But now, it may become a major contributor, the study said. "The degree of melting … is unusual, unprecedented in the last hundred years. You never got four or five years of major melting like this in the 1900s," said Bevis. In the past few decades, Bevis said about 280 billion tonnes of ice was lost as meltwater each summer in Greenland. But now, he estimates that number is suddenly "significantly larger" — perhaps up to double. "Everything's in agreement that the melting is massively increasing in this century compared to the last." Researchers from several international universities and organizations used data from twin satellites launched in 2002 called GRACE (Gravity Recovery and Climate Experiment). That coupled with data from GPS stations scattered on Greenland's coast helped measure the changes in ice mass. What the study found was the ice loss data correlated with a weather phenomenon called the North Atlantic Oscillation, which affects air temperature. The "unusual melting" and accelerated ice loss is thanks to the combination of global warming and the oscillation, according to the study. Oscillation is an "erratic" movement of air that happens every few years. It tends to bring warmer air to Greenland, similar to how the El Niño and La Nina weather systems can change water temperatures, explained Bevis. These oscillation cycles have been happening for thousands of years, yet only now is it affecting the Greenland ice sheet, noted Bevis. "That's why it's so strange," he said. "Why only now is this cycle controlling the melting?" Bevis said it's because global warming allowed air temperatures to reach a "tipping point" where massive melting becomes possible. With the warmer air temperatures causing lower ice levels, especially in southwest Greenland, the North Atlantic Oscillation "pushes it over the top" and is able to control the melting, said Bevis. Bevis said the data shows that there have always been minor fluctuations of ice loss in the last century — but the fluctuations since the early 2000s point to a new behaviour of melting in the area. Rising sea levels in Greenland can have serious consequences for people living in East Coast cities. Provinces on Canada's East Coast like Newfoundland and Labrador may be affected, Bevis said, but the effects will be bigger in U.S. coastal cities like New York and ones near the Gulf of Mexico, including Miami. Rising sea levels can cause hurricanes to reach further inland, causing more damage, said Bevis. "This is horrifying really," said Bevis, in reaction to the study's findings. 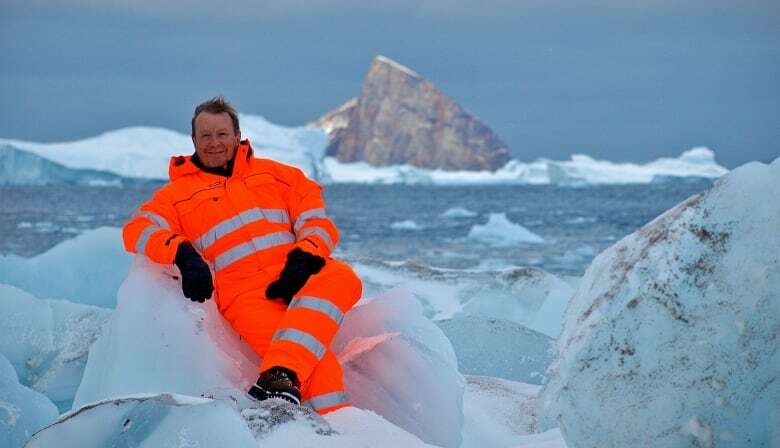 "Now, this meltwater is a completely different mechanism," he said. "And this one is particularly worrying because it seems like it's going to accelerate indefinitely." Bevis said he and his team can't imagine a way this new melting behaviour can turn back to what it was. "I find it impossible to imagine that it will go back to how it was one or two hundred years [ago]," he said. "As it gets warmer and warmer, this will get worse and worse."